Welcome to Chiropractic 1st! You have taken the first step towards a healthier and pain free life. Your health is your most valuable asset. Being and feeling healthy allows you to accomplish and participate in life as you choose to live it. Our first aim is to get you feeling and functioning better by restoring the body’s normal function without the use of drugs and surgery. At Chiropractic 1st, we understand how our busy modern day lives can impact on health in general. As a result, we end up with aches and pains, less mobility, poor posture, and generally feel less well. Our aim is to address your main complaint or concern, let you know if we can help, and if so put you on a personal program of care to help solve the root cause of your problem and give recommendations for supportive wellness care. Primarily a Chiropractic Clinic, we focus on posture improvement, and restoring optimal function to your spine and nervous system. It is also our aim to provide you with the information and knowledge to allow you to implement healthy strategies into your daily lifestyle. Alongside your Chiropractic adjustments we have a team of Massage Therapists and a Functional Nutritionist on site to support your wellness. We run regular health talks and workshops to further your understanding of living a natural and preventative lifestyle. If you are a local York-based business we also run health and wellness talks for your staff. I have being going to Chiropractic 1st for about a year now. My initial visit was to try and sort out constant neck and shoulder aches & pain, and I was really pleased to see an improvement after only a couple of adjustments. I’ve continued because of the benefit not just physically but also in my wellbeing, it’s definitely worth giving it ago if like me you fancy doing something positive for your body and mind! A welcome is always waiting at Chiropractic 1st, Clare the receptions is always happy and cheery and is efficient if appointments need rearranging or are missed. A proactive practice that focuses on health as well as remedial action. Arleen is professional, knowledgeable and never fails to spot problems, works hard to resolve them and promotes self care. Keep up the excellent service! Fantastic – On arrival I was welcomed by name with a big smile which put me at ease straight away. Arleen was fantastic, she asked all about my previous chiropractic treatments, talked through new available treatments, and recommended some great exercises. Really lovely practice, and very effective treatments. Help me a lot, when I almost couldn’t walk. I bring my 12 year old daughter to the practice for adjustments. Arleen is amazing – calm, professional, friendly and very knowledgeable. She takes her time to explain the issues and offers advice on exercises to use at home to complement her treatment. Claire also is so friendly and welcoming. Would highly recommend Chiropractic 1st. Super friendly and thorough experience here, has been a lifesaver recently, highly recommended. I injured my back in childhood and since then have recurring problems with back pain. I’ve been seeing Arleen at Chiropractic 1st for about ten years now, and it has improved considerably over that time. I am now on a maintenance regime and continue to find the treatments beneficial. Plus, the atmosphere there is very welcoming! 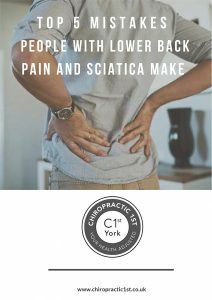 I first visited Chiropractic 1st due to sciatica problems, but have found that in the 6 months I have been visiting the practice my overall health has improved. It is clear that their aim is to improve your health and wellbeing and I have certainly benefited greatly from the care I have received. The practice is very efficiently run with a warm welcome from Clare on reception to Arleen who is very professional and clearly an expert in her field. I would without hesitation highly recommend visiting Chiropractic 1st. I first visited Arlene a few years ago with painful plantar fasciitis which was not sorted by physio or shoe inserts. I was impressed that she pretty quickly dealt with this and the adjustments also improved my overall posture and flexibility. I have been a patient ever since and see my regular adjustments as ongoing maintenance and a part of my health and fitness programme. Wonderful positive environment. Arleen is amazing – personable, professional, knowledgeable and clearly very very good at what she does. I went to Chiropractic 1st for general low grade neck, shoulder and back aches, probably from years bent over books studying. Within a few sessions I found I could turn my neck further than I ever realised I could and my neck and shoulders feel much looser. Instead of looking forward to slowly deteriorating over time I feel that now I can look forward to better back health than I had before. Arleen and her team are also extremely professional yet always friendly and willing to go the extra mile to help. I would definitely recommend it for general good health as well as specific problems. I’ve been going to Arleen for a month now after being in a lot of pain she has helped bring the pain down massively as well as increasing my mobility. Arleen and her team offer an uber professional service. Since being a patient I now enjoy a pain free life. Thank you all for providing such a valid and much needed service. 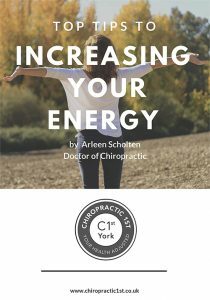 Excellent chiropractic clinic, Arleen has so much knowledge and looks at the bigger picture for overall health and wellbeing. Just excellent. My 7 year old daughter has been attending Chiropractic 1st for a couple of months now. Our main focus was to look at growing pains in her knees and congestion around her ears. I love the holistic view to health taken in the clinic. Dr. Arleen is so warm and friendly and my daughter really looks forward to her adjustment sessions. I can only say it’s been great experience from the very beginning of my chiropractic journey 🙂 I love everything about this place from very welcoming and always smiling Claire in the reception to very professional and always happy Arleen who improved my wellbeing dramatically in the last 3 months (I was suffering from lower back and neck pain). I would recommend this place to everyone, so if you are unsure it’s definitely worth to try! All here are very friendly and provide a professional service. I came out of interest years ago and haven’t looked back. Chiropractic treatments have definitely benefited my health. As soon as I walked into Chiropractic 1st I knew I was in safe hands. The team are friendly, professional and caring and Arlene dealt with my pain issues with great professionalism and more importantly, corrected the problems as well as advised and educated on how to maintain a healthy spine. Thank you for your care and for continued support! The practice appears to be very well run and has some great added value activities such as hosting workshops and a lending library for clients re enhancing lifestyles. Excellent staff – practitioner and front desk. I would recommend Chiropractic 1st to anyone, with or without evident health problems, to deliver an holistic treatment regimen which will improve health and well being. Personally I feel I can attribute enhanced lifestyle, with a feel good factor, to the treatment I have am receiving here. Many thanks and continue the good work! Four years ago I was struggling to control referred pain from nerve root entrapment caused by degenerative changes in my cervical spine. As a GP, I was aware of the limitations of NHS treatments. The pain was threatening my life long pursuit of cycling and swimming. Within weeks of commencing chiropractic treatment, there was a marked improvement. Thanks to Arleen the condition is now managed successfully with regular maintenance chiropractic sessions. I can’t recommend Arleen and Chiropractic 1st highly enough. I initially started visiting the practice to resolve issues in areas of my body to enable me to work out more effectively and run faster. The initial consultation was much more in-depth than I imagined, chiropractic care focuses on your mental health just as much as your physical. The progress I have made has far exceeded my expectations, I now see chiropractic care as an essential part of my routine to continue reaping the benefits. Arleen and Clare really care about their clients, I just wish I’d started sooner! Arlene makes subtle and very gentle adjustments which have a major affect on how I feel and how mobile I am. I’ve been seeing Arlene since having acute back and shoulder pain last Autumn. Thanks to sessions at Chiropractic1st which re-aligned my spine and Arlene’s motivating energy, now it is Spring, I am practising yoga regularly and continuing to swim happily. I’m more body aware thanks to learning how I should feel after adjustments and better able to avoid back and shoulder pain by noticing symptoms earlier. Seeing Arlene is a great foundation for better health and wellbeing. Everyone at the practice has always made me feel welcome and very well cared for. They are always friendly and put you at ease straight away. The care I’ve received for my back pain has definitely helped to improve my quality of life. Had lower back problems for many years. Arleen sorted it out. Would highly recommend. Professional service. My family and I have been visiting Chiropractic 1st for several years now as we enjoy the feeling of well-being that it gives us. We see it as maintaining the whole body, rather than just for back issues, as i initially thought chiropractors were used for. We travel a fair few miles for our visit but this is by choice as we put our trust in Arleen who is very knowledgeable especially when it comes to maintaining the body for maximum health benefits. The practice is very professional from the minute you step into it until you leave with a friendly/professional receptionist. There is also a fantastic range of health supplements on sale which have been recommended personally to us having noticeable benefits all round! A very professional, effective, wholistic and family friendly practice. Having suffered back pain for over 8 year I knew I wouldn’t be ‘fixed’ over night, but within 3 or 4 sessions I could feel a real difference. I would most definitely recommend Chiropractic 1st to anyone. Arleen has helped me so much in the past few years of being a patient at Chiropractic 1st. 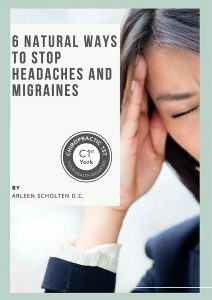 Having suffered daily headaches and back/neck pain for years, I am now virtually head ache free. The team are friendly, professional and helpful. Their advice is incredible and at Chiropractic 1st you feel part of a community. I would recommend to anybody! Chiropractic is an excellent way to improve general wellbeing. By taking care of my spine, Chiro 1st has helped me enjoy life even more! I’ve received excellent chiropractic care from Arleen for several years now. My health has benefitted from care at the practice before, during and after pregnancy. I appreciate, and continue to benefit, from Arleen’s support and advice over the years. Clare on the front desk is always so welcoming and friendly too. The whole experience attending the practice is fantastic from start to finish. I would whole-heartedly recommend anyone to Chiropractic 1st. A reassuring consultation, kind, clear, informative and thorough. A breath of fresh air and hope in healthcare. I am really excited for when I can start my treatment. Thank you again you really helped massively just in the first part of the process, much appreciated. I can highly recommend Chiropractic 1st. I’ve struggled with lower back pain for years and more recently neck and shoulder pain. Within my first visit I could already feel a vast improvement. I arrived at the clinic in October 2015 in a lot of pain. I didn’t want to go down the conventional medicine route of drugs and a possible operation and was recommended Chiropractic 1st. I am so very grateful that I made this decision and extremely thankful for the treatment and care that I have received from Arleen. I am now pain free thanks to doing the exercises that Arleen instructed me and my regular adjustments. Thanks to Claire at the reception too, always greets you with a smile. Extremely professional, I wouldn’t hesitate to recommend them. Big improvement in my posture. An exceptional practice with expert and knowledgeable professionals that achieve excellent results and make a real difference. A lovely, friendly environment too. After an adjustment (treatment), it makes one realise how one’s body should move and work. I believe everyone would benefit from a consultation and treatments, from addressing real health issues to promoting general wellbeing….it’s ideal to be part of people’s ‘body maintenance’. I’d recommend them without hesitation. Arlene has been fantastic at pin pointing specific root cause of back pain, and doing treatments that get us moving again as a family. She’s helped us and our kids. Arlene and her team are simply fantastic! I really look forward to my regular adjustments and see them as an essential part of my overall wellbeing.It is always such a positive experience. The services provided at Chiropractic 1st are excellent. A thorough assessment is carried out and then a clear and practical programme is put in place. Time is always given to discuss needs and there is ample advice and support provided by the team to ensure that there is a holistic approach to health improvement and well being. I know that my own health has improved as a result of the intervention and advice from Arleen and I also know that it is my responsibility to maintain healthy choices and practices in the future. As a result, I will maintain a level of chiropractic support beyond my current treatment programme. I’ve been coming to see Arleen for the last six months, and started to feel the benefits from my first visit. I always receive a warm welcome and Arleen is both fantastic and incredibly passionate about her job. My posture has improved beyond measure, and I feel that my overall sense of wellbeing is better than ever. I always look forward to my sessions and feel that they’ve truly helped to improve my health and happiness.